In the weekend of 27, 28 and 29 November, the Salon Belle Montres is being held in Paris, France. 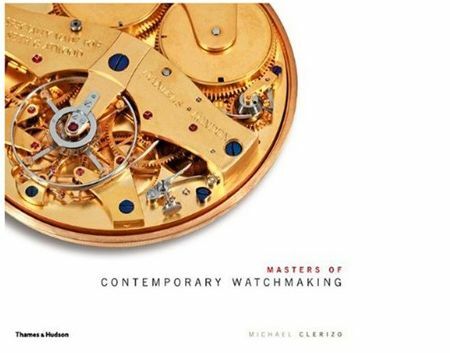 During these two days, the author of Masters of Contemporary Watchmaking, Michael Clerizo, will be signing his book. Amongst others, the 11 master watchmakers that he has written about in his book, will be attending the Salon Belle Montres in Paris as well. I reviewed Michael’s book some time ago, which you can read (again) by clicking here. This book signing is being organized by the biggest on-line watch and jewellery book retailer, called WatchPrint. WatchPrint is also the bookshop present at Baselworld, SIHH, Belles Montres Paris and EPHJ. Salon Belle Montres in Paris will also host a lot of other watch brands during the weekend of 27th, 28th and 29th November. What to think of A. Lange & S?? ?hne, Audemars Piguet, Gr?? ?nefeld, JLC, Maitres du Temps, Richard Mille, Vacheron Constantin… and more. Last but not least, Rolex will also be present on the Salon Belle Montres. A full overview of exhibitors can be found here. A big event and I wish I could be there… better luck next time.